Frugal Friday specials are up!! Check out this weekends sale in the Krafty Store! Did you see the latest Krafty Komeback?!? LET THEM EAT CUPCAKES! It is the newest Kraftin Kimmie set to see itself revived in Clear!!! Every now and again, Kimmie takes one of our old, dear fave rubber stamps/sets and brings it back in CLEAR!!! 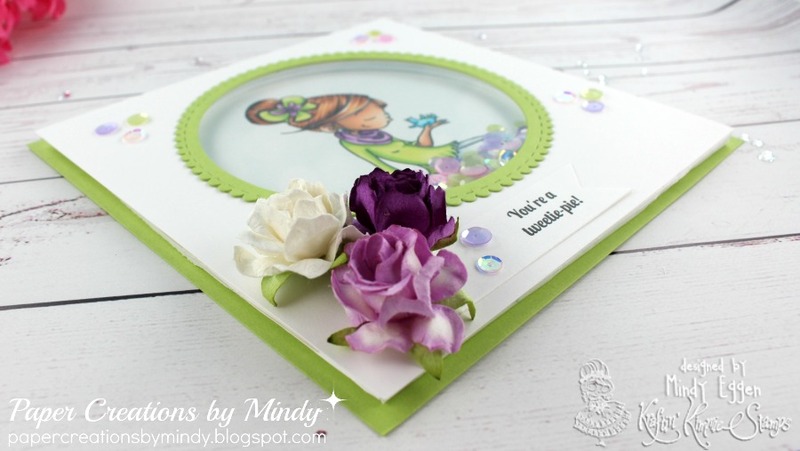 You can view my post HERE for the card I created for the Komeback. More information on the Kraftin Kimmie Blog – you don’t want to miss out on the upcoming events! I love making my shaker cards so this fit nicely with the circle challenge for this weekend! I also have a card share video for you because you just can’t capture all the fun of a shaker card in a picture!